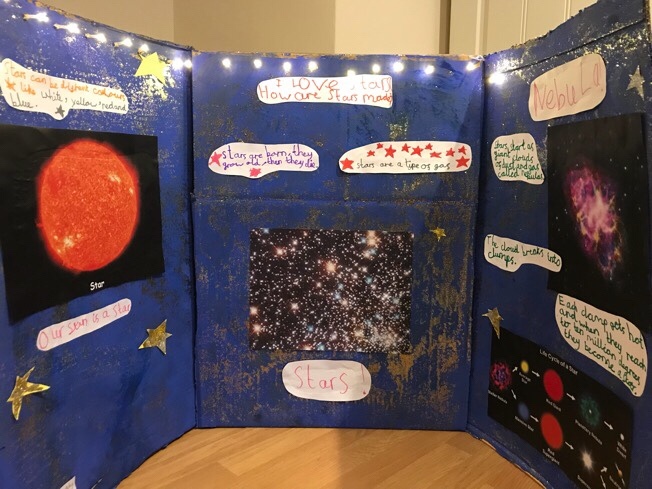 Bob’s school are holding their first Science Fair on Friday. Every child has to choose a Science project to work on. At first Bob wanted to find out ‘Who created God’. I thought this may be a bit tricky and I explained that Science and Religion are different things. 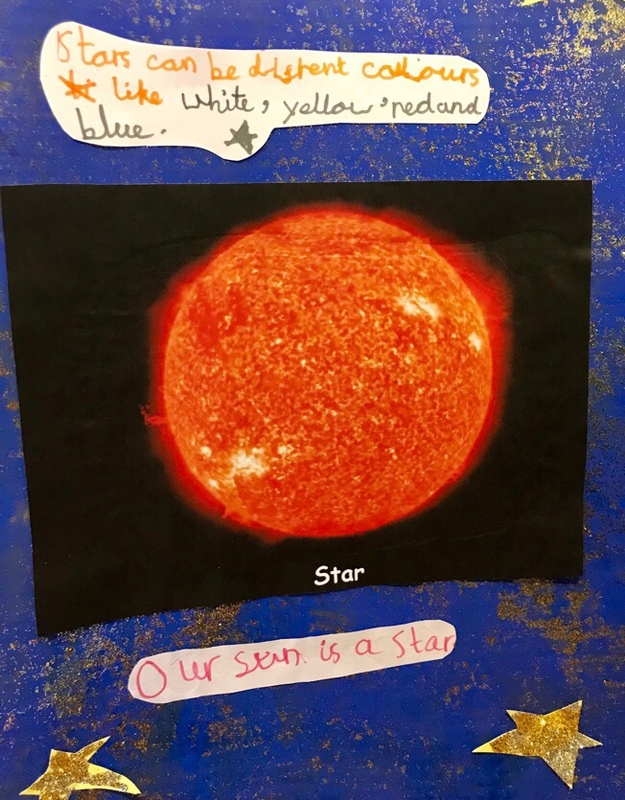 She decided to ask ‘How Stars are made?’ instead. We had lots of fun researching this. 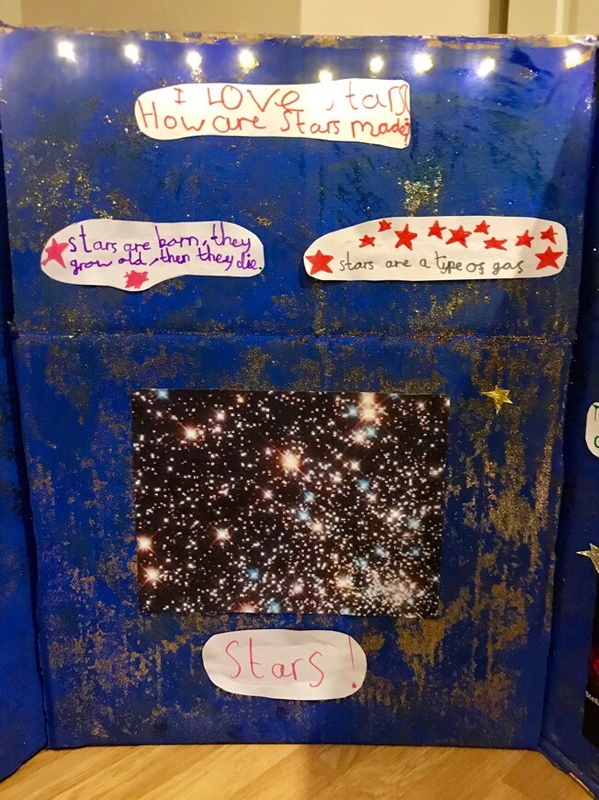 I learnt a lot too as I didn’t know how Stars were made either. She watched lots of You Tube videos and found out some interesting information. I thought this was a great way for Bob to learn as she wouldn’t have been as interested if I had given her a text book. It was very interesting! I didn’t know that stars are born, they grow old and then they die. I also didn’t know that they are all different colours. I bought some art supplies and some cheap stationary and we got to work. Bob decorated her board using blue paint and glitter. Bow helped and it got very messy. I am still finding glitter! Bob wrote the facts that she had learnt onto card to display on her board. We also printed off some photos to add to her project. Then, when I was clearing out a drawer I found a string of battery operated fairy lights. I thought these would be perfect for Bob’s project. Unfortunately the lights didn’t work but her daddy came to the rescue and used Bob’s Hot Wires Electronics Set to bring them to life. Bob made some holes in her board and we pushed the lights through. Now her display was twinkly too! I can’t wait to look around the Science Fair on Friday. It will be wonderful to see all the projects. 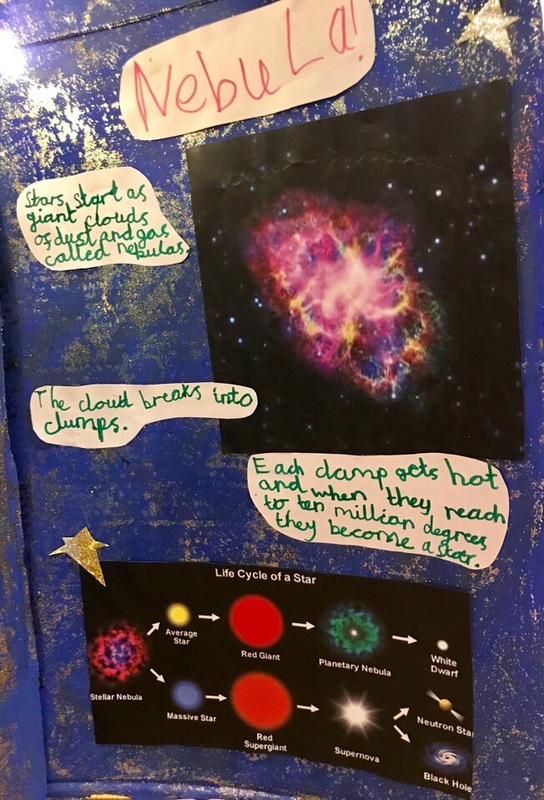 It is a great way to get children interested in Science and it is a lovely way to share their work. I am hoping that this will become a yearly event as it is a great way to learn, for Bob and for me!